A 20-year-old man was hit by an oncoming Orange Line train, according to the Massachusetts Bay Transportation Authority (MBTA). The Boston Herald reports that the man was walking along an area that was fenced off to the public. The accident happened as the train was heading into the Malden Center station. Thankfully, the man is expected to survive, but suffered some serious injuries to his extremities. He was being treated at the Massachusetts General Hospital. The accident happened just before 9:00 p.m. Officials with the Transit Police report that the visibility was poor because of the rain in the area. “Service was suspended in both directions and bus diversion was established. While (investigators) are down on the tracks they hold the trains and use the buses,” said Lt. John Landers with the Transit Police. Our MBTA accident lawyers understand that while trains are awfully convenient for residents and visitors to the area, they can also be extremely dangerous. While officials claim that the MBTA has been getting safer in recent years, the truth of the matter is that there are still far too many accidents occurring. According to the most recent statistics, there are close to 1.5 accidents that happen for everyone 100,000 miles traveled. This might not seem like a lot to you, but when you figure how many millions of miles are traveled by the fleet every year, you’d think twice. Many of the accidents that occur with the MBTA are in fact preventable. Officials estimate that close to 85 percent of accidents that happened in 2009 that involved only MBTA buses could have been avoided had drivers been more cautious. The case isn’t always the same when we’re talking about MBTA’s trains and subways. In these cases, it should be common knowledge that these vehicles are not able to stop to avoid an accident. 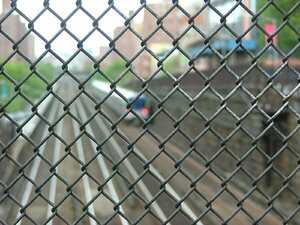 Residents have to rely on the warnings of gates and flashing lights to alert them about upcoming trains and subways. It’s when these systems don’t work that accidents result. That’s why we’re asking customers to be their own warning system and to be aware of their surroundings at all times. Awareness is one of the best ways to cut out your risks for an accident. -While waiting for a train or subway, make sure you wait in a central location. Stay in areas that are well lit and stay away from tracks. -Keep an eye on where the closest Police Call Box is should you encounter an emergency. -When riding on a train, remember that the operators can be reached by using the intercom that is located at the end of every train. -When riding during off-peak hours, make sure you ride as close to the train operator as possible. -Should you be attacked, be sure to scream or blow a whistle in order to bring attention to your situation. -Keep children close by and supervised at all times. Hold the hands’ of young children. If you have been injured in an MBTA accident, contact Personal Injury Attorney Jeffrey S. Glassman for a free and confidential consultation to discuss your rights. Call 877-617-5333.